Curious to see what people will find. I'm poking around myself. Last edited by RPM1123; 04-01-2019 at 10:58 PM. Wow that is quite a bit larger than the F30 M Sport 335/340 oil cooler. Perfect, I see the shadow line parts for the front and rear that I have been looking for. Great find. 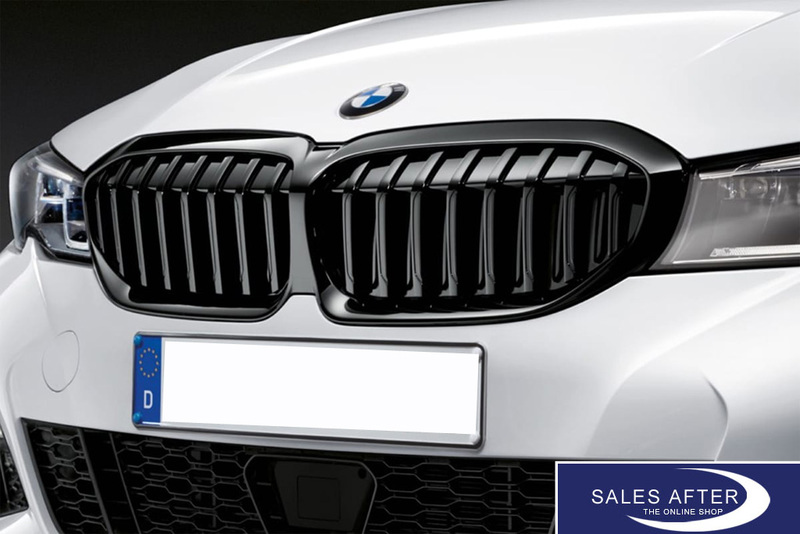 My question is now can we put the shadowline vertical bar grill on the M340i?? Wow yea, radically different design. but seems to have the same core element, integral flaps to the main exhaust. However, with the addition of another flap on the right exhaust. maybe this is to give essentially 3 levels of exhaust? Are we looking at the same picture? Where do you see integral flaps to the main exhaust? I only see the standard flap on one side. Good catch, I missed that detail when I looked at it. So besides the usual flap in one of the tailpipes the muffler has at least 1 more flap inside. So what about the steering rack? Same as G20 330i or the one from the F30? I already checked. No part numbers shown at all for the M340i steering rack. Is this the grill you're looking for? Yes but will it fit the M340i? It should, according to the BMW parts catalog. I have this grill arriving on Monday. My car arrives at the port tomorrow. As soon as I get the car I will let you know if the grill fits. Yeah, odd that they're not showing the part numbers for any G20s yet. Though the steering rack part is still not there (and not in the April catalog either). Are 330i grilles and M340i grilles interchangeable? It better be just as loud.